Reverend Quientrell L. Burrell, Jr., M.Div. Reverend Quientrell Burrell, Jr. accepted the call to the gospel ministry at 20 years of age and was licensed by the Antioch Baptist Church under the leadership of Dr. Phillip E. Elliott, Pastor. He is a graduate of Long Island University with a Bachelor of Fine Arts in Communications and Broadcasting. 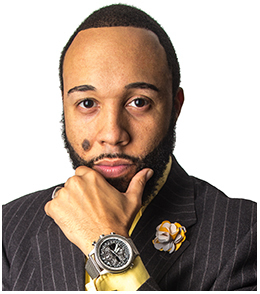 He a 2007 graduate of the Shaw University Divinity School, attaining the Masters of Divinity. In November of 2001, a call was extended from the First Baptist Church of Weldon, N.C. to Pastor Burrell to serve as its youngest Pastor in the 149 year history of the church. During the past thirteen years, the church has seen tremendous growth, spiritually, numerically and financially. Pastor Burrell is affiliated with numerous civic organizations and associations. He maintains current membership in the National Baptist Convention USA, Inc. where he is also a member of the Music Department. Rev. Burrell is fervently working on his Doctorate at Chicago Theological Seminary, Chicago, IL where he is looking forward to his second year of studies and challenges. 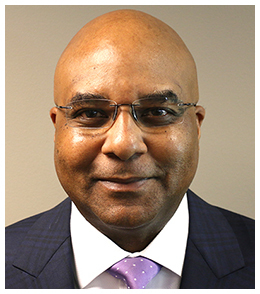 A talented sports executive with experience as a player, coach, agent, sports marketer and basketball operations administrator, Fred Whitfield joined Hornets Sports & Entertainment (formerly Bobcats Sports & Entertainment) as President and Chief Operating Officer in July 2006. In this role, Whitfield oversees all business operations for the Charlotte Hornets and Time Warner Cable Arena, including the team’s name change from Charlotte Bobcats in the summer of 2014. Along with overseeing the team’s rebranding, Whitfield over the last year has led efforts that resulted in landing the 2017 NBA All-Star Game and securing $40 million in renovations for Time Warner Cable Arena. A graduate of Campbell University, Whitfield was an All-South, team MVP and basketball team captain player and was inducted into the school’s Sports Hall of Fame in 1995. He earned a BBA degree in Economics and then completed his MBA at Campbell in Marketing while serving as Assistant Basketball Coach for the Camels. From there, he earned a Juris Doctorate Degree from North Carolina Central University School of Law where he served as Student Bar Association President.